These 'pull-up banners' were initially designed as part of a display booth for a Trade Show. 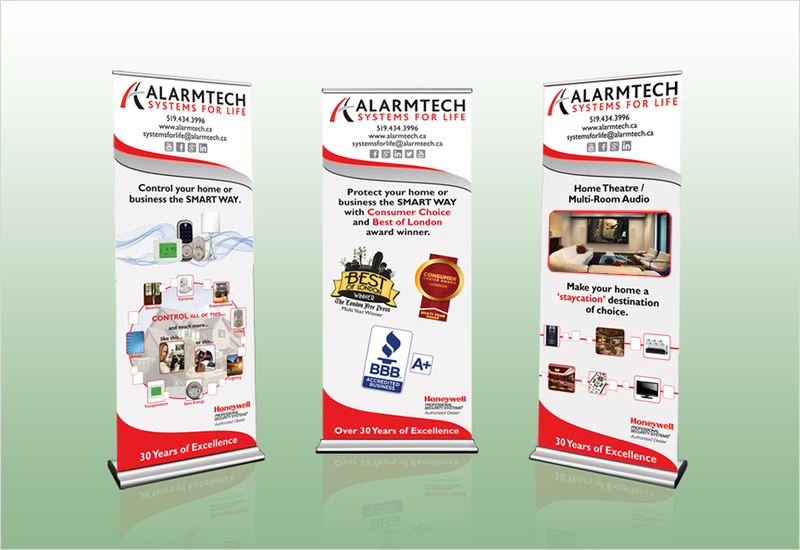 I had designed these banners along with some other fun design elements—including a pedestal display with a working alarm panel. The client 'Alarmtech Systems For Life' is a local business, here in London Ontario, that offer security solutions for homes and businesses.